Pianist Robert Glasper's embrace of hip hopwhich is being foregrounded by Blue Note, presumably as a device to widen his trio's appealis, truth be told, overstated going on misleading. 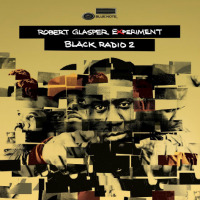 For at its core, Glasper's music is everything that hip hop is not, or anyway not what it is perceived to be. In My Elementa wonderfully rounded development of the music presented by the same inventive trio on Canvas (Blue Note, 2005)is subtle, allusive, rhythmically complex, and understated. And it's all acoustic; there are no samples, pre-programmed beats or spinning wheels of steel. Glasper's embrace of hip hop is real enough, but it is impressionistic rather than literal. In his own piano playinga sophisticated, contemporary expression of Bill Evans' legacythere is nary a trace. The connection lies, most obviously, in the contribution of drummer Damon Reid. But it is indirect even here, not in the beats Reid plays so much as in the textures he produces, tough going on metallic and clearly out of rap and hip hop. Only occasionallyas on "F.T.B." and "J Dillalude"does Reid get down on the one and work it. Mostly he plays extended, skittering, running and jumping phrases, employing hip hop's signature rolls and paradiddles, but across and around the beat, abstracting the rhythm rather than simply maintaining it. 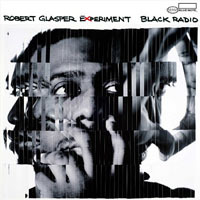 Glasper's improvisations take a similarly elliptical route, melodically and rhythmically. He's strongest in his right hand, favoring rapid fire, treble register lines, introducing fragments of melody, turning them inside out, restless, recalibrating. 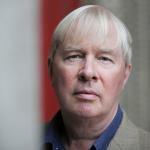 The left hand generally comps and punctuates. Only on the gospel-derived "Y'Outta Praise Him" and "Tribute" does Glasper really get two-handed. Glasper's tunesall but two tracks here are originalsare impressionistic and fragmentary too. They don't so much lay down melodies as suggest them. Even the covers, of Sam Rivers' "Beatrice" and Herbie Hancock's "Maiden Voyage" (which morphs into Radiohead's "Everything In Its Right Place"), are essences-of rather than note-faithful expositions. The originals are also, it has to be said, a bit samey, and the interest lies in the trio's elaborations of them rather than in their intrinsic value. "One For 'Grew," written for pianist Mulgrew Miller, is an exception, a beautiful, well-chiseled melody, and the closest thing to straight-ahead, swinging jazz on the album. Ultimately, the hip hop connection is more or less irrelevant. In My Element is fresh and adventurous, an invigorating twist on the piano trio tradition, and played by young masters from whom, it is to be hoped, we'll hear a lot more. 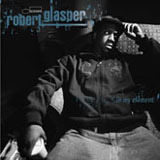 Personnel: Robert Glasper: piano; Vicente Archer: bass; Damion Reed: drums.